The foyer is the hearth of your home. Did you know that in France foyer also means family home? Such truth in that. In a way, when you enter someone’s foyer, you are entering more than a home. You are entering the life of a family. Now, no matter how large or small your foyer, it is your grand entrance and is the opening chapter of the story that is your home. It is also your chance to make people feel welcome from the moment they enter your home. 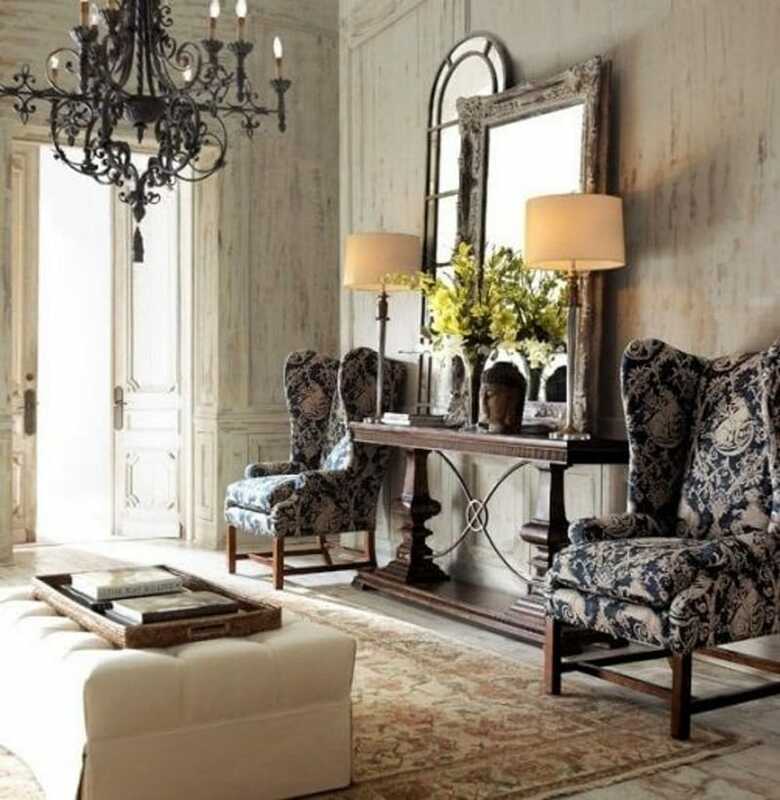 There are many options to consider when designing your foyer. In general, our approach is quality over quantity. And we want to make sure it reflects who we are. We have a simple Art of the Home test to find out whether or not a foyer is resonating. We call it the blind test. Say you hide the name on your mailbox, would someone that knows you be able to tell that this is your home. If the answer is yes, then your foyer is where it needs to be. However, if the answer is no, you may need to infuse a bit more of some of your heart and soul into your grand entrance. So if you are building your own dream home, redesigning your entrance, simply redecorating or just want to walk through many different styles of foyers, you will find some great ideas in these 5 luxury foyer designs. Enjoy and beautiful day to you! The Little Plus: the two tall ivy topiaries bring life to this beautiful entryway. They also add color and the terra cotta planters adds a touch a rusticity to this formal luxury foyer — a great touch! Also note how the two tone wood staircase brings the light cream color of the porcelain tiles and the elegant living room hardwood floor together. The Little Plus: the rustic iron candle chandelier welcoming guests and reflecting in the gorgeous over-sized mirror gently resting on the foyer table. The Little Plus: the deep tray ceiling with two clear glass cloche pendant lights is an eye catcher. The antique commode fits right in. 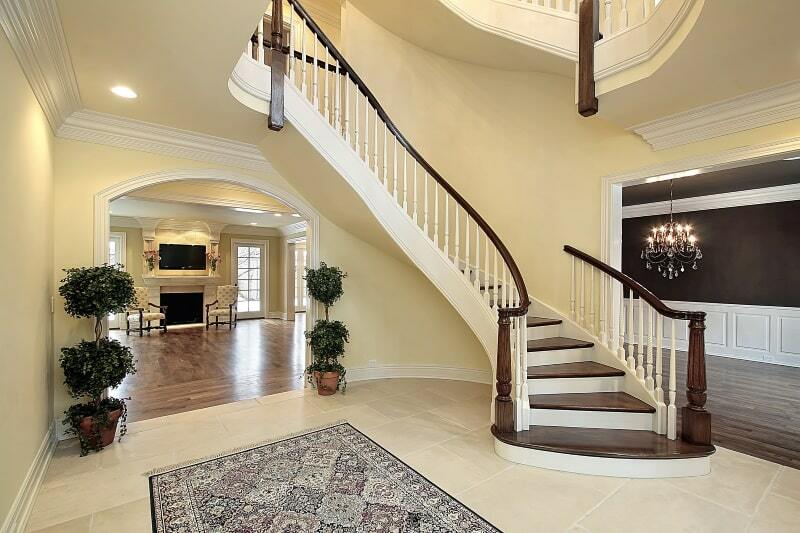 Also, the hardwood floor pattern frames the foyer space beautifully. 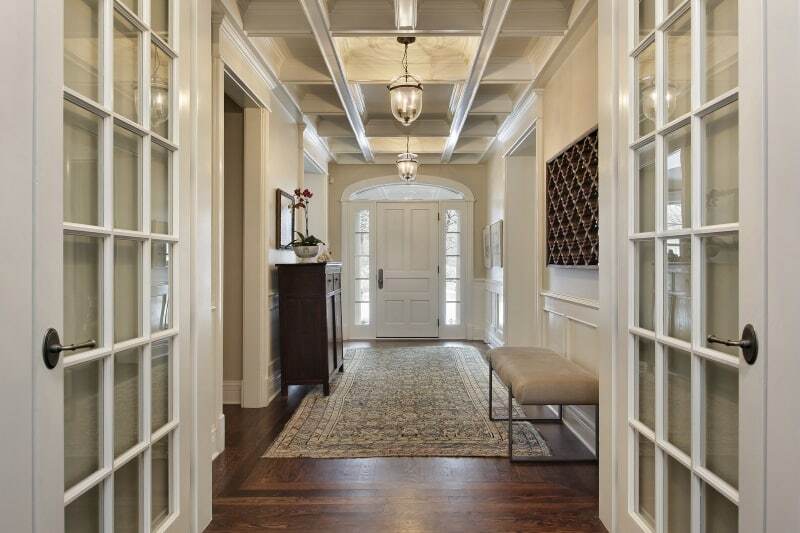 The Little Plus: the crown molding throughout this luxury foyer is gorgeous. 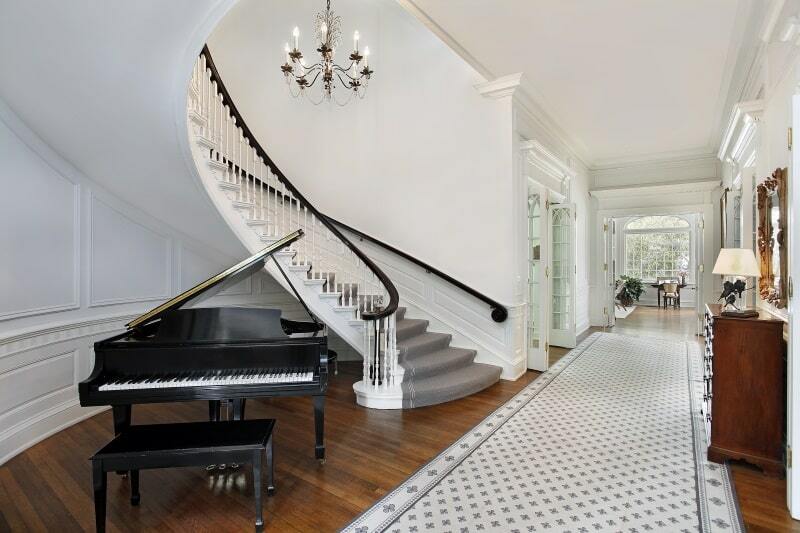 The painted hardwood staircase with classy color coordination between the floor rug and the stair runner reigns over the foyer.